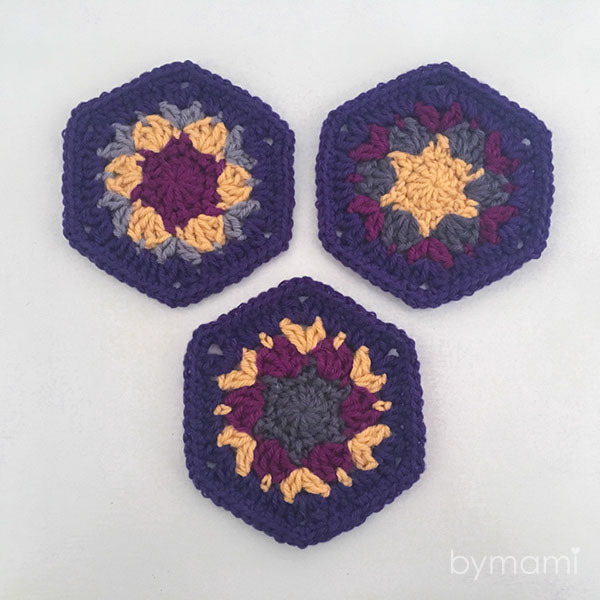 Audhumbla is the 10th hexie of #52weeksofhexies. 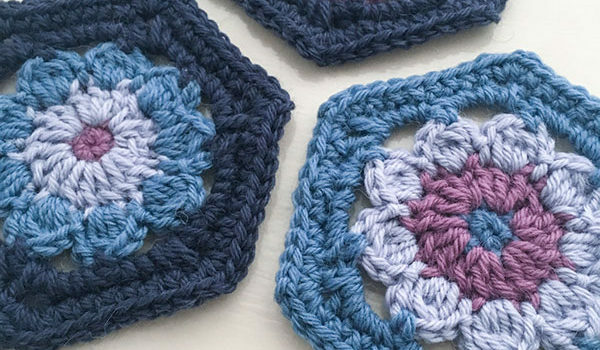 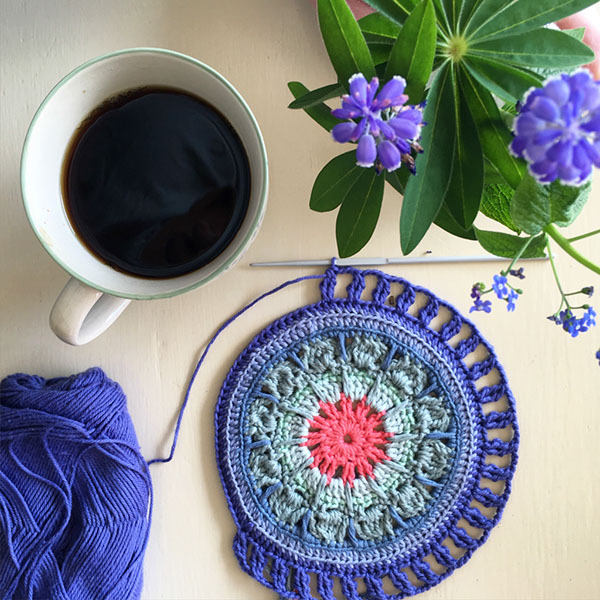 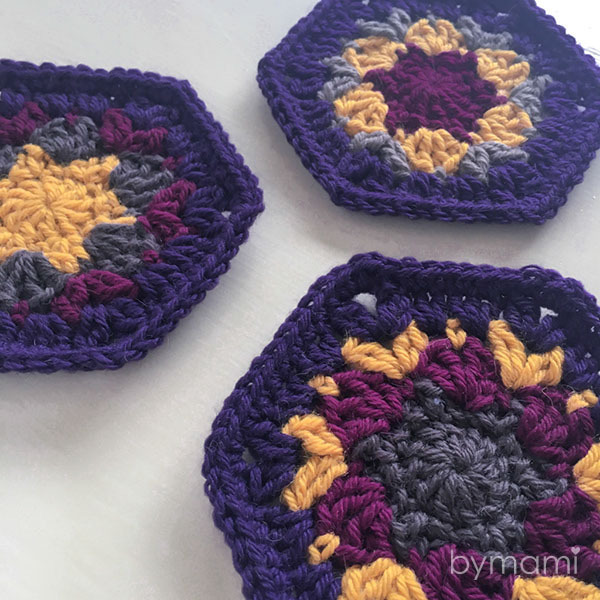 Bymami crochets/designs a new hexie each week and the plan is to crochet them all together into a blanket in the end. 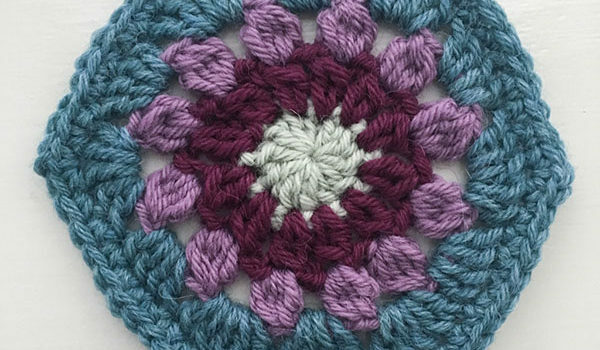 The blanket will be named ‘Valkyrie’. 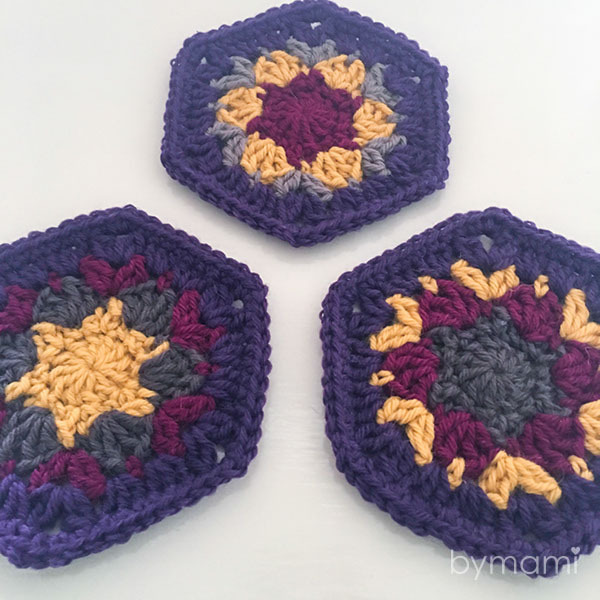 Read more about the project and find the pattern for the first hexie here and see all the hexies here. 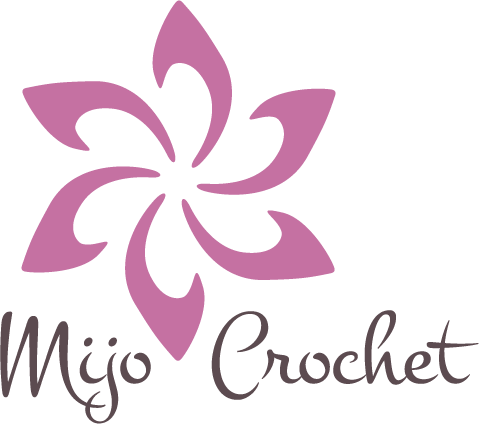 Crocheted in Drops Lima in colors Light brown (5310), Brown (5610), Goldenrod (2923), Ruby red (5820) and Dark purple (4377), from Hobbygarn. 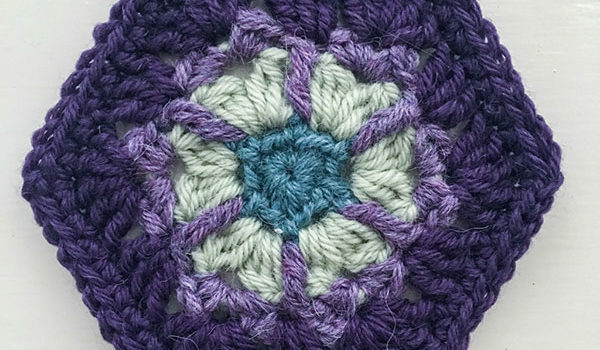 One finished hexie uses app.10g of yarn. 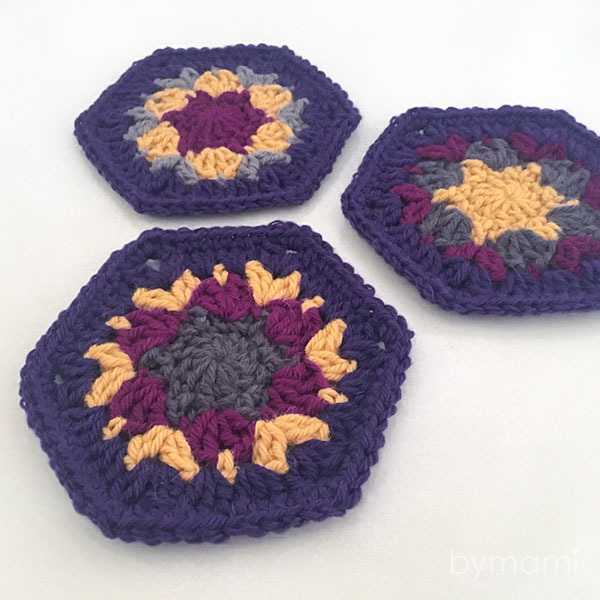 Post photos of your Bymami makes from this pattern in a comment below, share it on Bymamis facebook or in your Instagram feed and tag it #audhumblahexie, #valkyrieblanket and #52weeksofhexies. 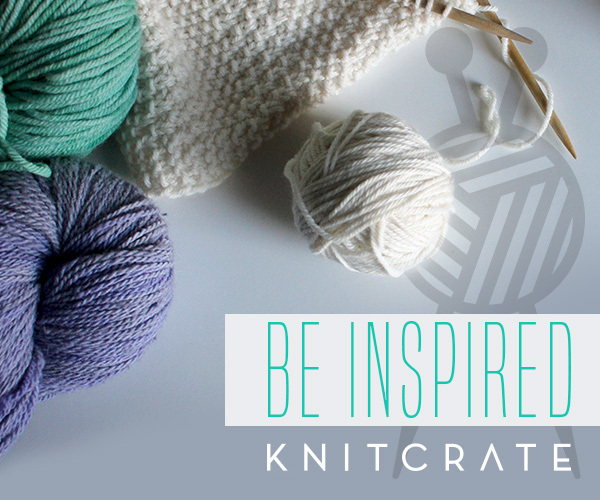 Make sure you tag @bymamidk on the photo or in your caption too if you want to make sure I see it!